Shipbuilder Damen said it has delivered the third and fourth units in a four-vessel contract to leading towage company Smit Lamnalco. 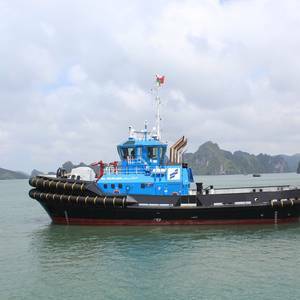 All four vessels are Damen’s ASD Tug 3212 class with a bollard pull of 80 metric tons. The order was placed in November 2017 and, with stock boats available, the first two were delivered in June and these latest arrivals in October. The marine fuel and lubricant trading firm Glander International Bunkering has opened its seventh office globally and third service point in Europe in Valencia, Spain, to service clients in the Mediterranean and Spanish-speaking regions.As the new Managing Director of the Spain office, Hernan B. Ortiz has officially moved to Valencia from Dubai to assume this new important role. 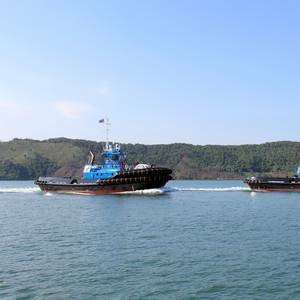 Netherlands based shipbuilder Damen said it has delivered two of four ASD 3212 tugs to towage and related marine services’ company Smit Lamnalco.Arriving in Oman on July 10, the two new tugs, each with a bollard pull of 80 metric tons, will be directly deployed at a Oman India Fertilizer Company S.A.O.